Johann Laux is a PhD candidate in Law at the University of Hamburg, Germany. He holds a Master’s in Politics and Government from the London School of Economics, a Master’s in Public International Law and EU Law from the University of Hamburg, and a Baccalaureus Juris in Law from the University of Hamburg. He studied Philosophy at King’s College London and was a visiting doctoral researcher at UC Berkeley from 2016 to 2018. He interned at the Court of Justice of the European Union. His journalistic writing has appeared in, amongst other publications, Die ZEIT and the Frankfurter Allgemeine Zeitung. Johann is interested in how legal institutions perform their cognitive tasks. He approaches normative questions of legal authority from the perspective of institutional design, drawing on social psychology, decision-making theory, and behavioral science. His most recent publication analyzes the use of online open source evidence by the International Criminal Court. He was part of Amnesty International’s inaugural Digital Verification Corps. Public Epistemic Authority: Institutional Design for European Union Law. 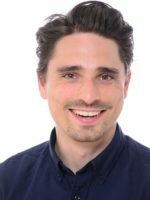 Johann’s research project analyzes the epistemic reliability of the Court of Justice of the European Union as a legitimacy condition for its legal authority. By drawing on mechanisms of collective wisdom popular in democratic theory as well as insights from the behavioral sciences, he conjures up epistemic legitimacy tests for the Court’s jurisprudence. His theoretical framework defends truth as a procedure-independent standard for the cognitive work of the Court, which, in turn, he understands to be characterized by the conditions of uncertainty and bounded rationality. The legitimacy tests under an epistemic benchmark are applied through an empirical study of the case law of the Court. He analyzes the Court’s processing of non-legal information (with a focus on economic data) as well as the outcomes of the judges’ legal interpretation. The aim of his research is to produce a set of concrete and feasible recommendations of institutional design. The list of recommendations to be discussed (not necessarily endorsed) in his work are the introduction of non-lawyers to the bench, the introduction of dissenting opinions, and a re-allocation of certain tasks to the European Parliament.